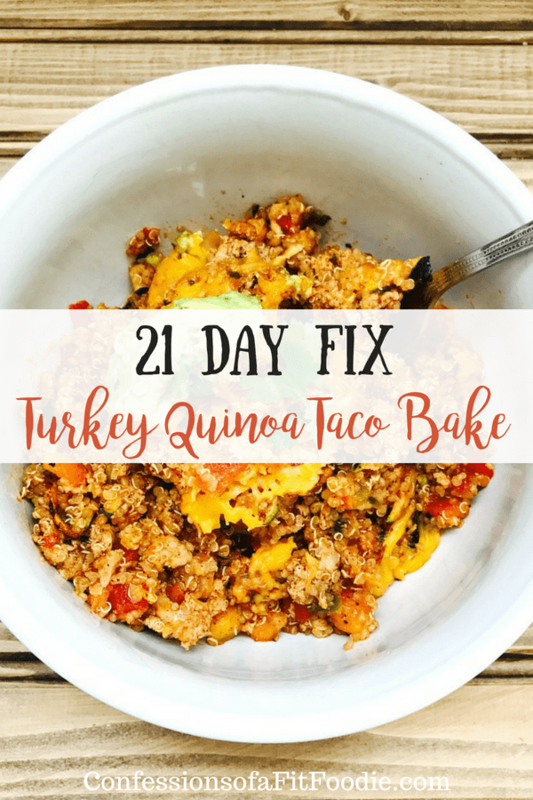 This 21 Day Fix Turkey Quinoa Taco Bake is a family comfort food favorite, hidden veggies and all. Confession # 13- I ate more of this than I should have. Between daylight savings and a baby with an ear infection (but hooray for tubes today! ), this momma is tired. No, exhausted. And all I want to do is curl up with a bowl of something warm and comforting for dinner. Something with cheese. Lots of melty cheese. But I also want to stay on plan. And I need another green in my day. This dish is exactly that. But packed with protein, veggies and some extra hidden veggies, I can indulge and stick to the plan. And I actually had some leftover cooked quinoa from my meal prep, so this came together super quick. Nobody needs to know about that zucchini, either. It’s shredded so teeny tiny that you can’t even see it. **have a spare yellow? Add in one yellow of corn or black beans! 1. Preheat oven to 350. Sauté the garlic and turkey until the meat is no longer pink. Add spices and tomato mixture and simmer for few minutes. 2. Next, add in the secret shredded zucchini. Again- simmer together for two minutes or so. 3. Add cooked quinoa and sauce. 4. Spray a casserole pan with cooking spray and add meat and quinoa mixture. Top with cheese and fresh cilantro. 5. Bake at 350 until the cheese is bubbly awesome. Portion into 4 servings and top with avocado. Preheat oven to 350. Sauté the garlic and turkey until the meat is no longer pink. Add spices and tomato mixture and simmer for few minutes. Next, add in the secret shredded zucchini. Again- simmer together for two minutes or so. Add cooked quinoa and sauce. Spray a casserole pan with cooking spray and add meat and quinoa mixture. Top with cheese and fresh cilantro. Hey Nancylynn!!! 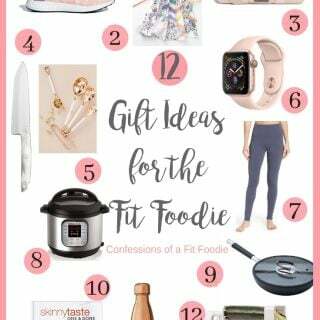 Definitely interested in some of your yummy, healthy recipes! Thanks so much!! 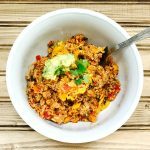 This one (taco quinoa bake) looks great! Yay! So good to hear from you, Chelsea! Hope all is well! Can I skip the avocado? Great recipe! What are the container counts for this? 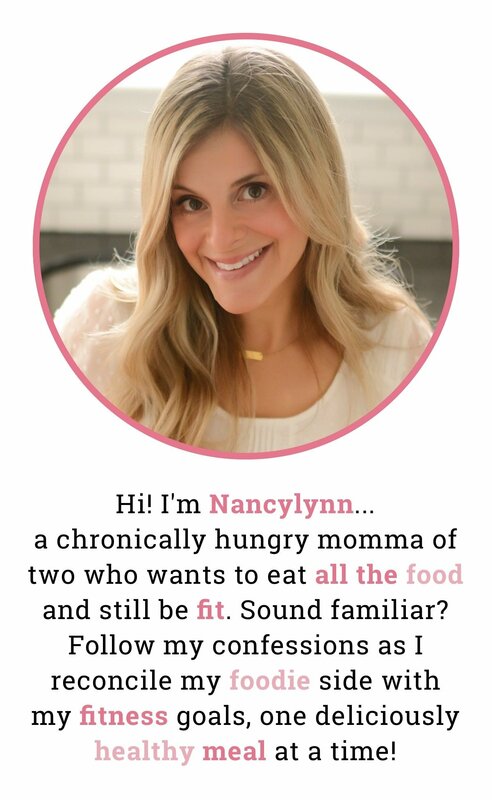 How much do you eat at a time? like does a cup equal the container amounts? I feel like I screwed something up. This fit into a 9×13 baking dish. 1/4 of that can’t be 1 serving!!?? I’ve made this before but can’t remember if I halved the recipe. What size casserole pan do you use? Good recipe! I’m so sorry to keep you waiting!! I use a 9×13 pan. 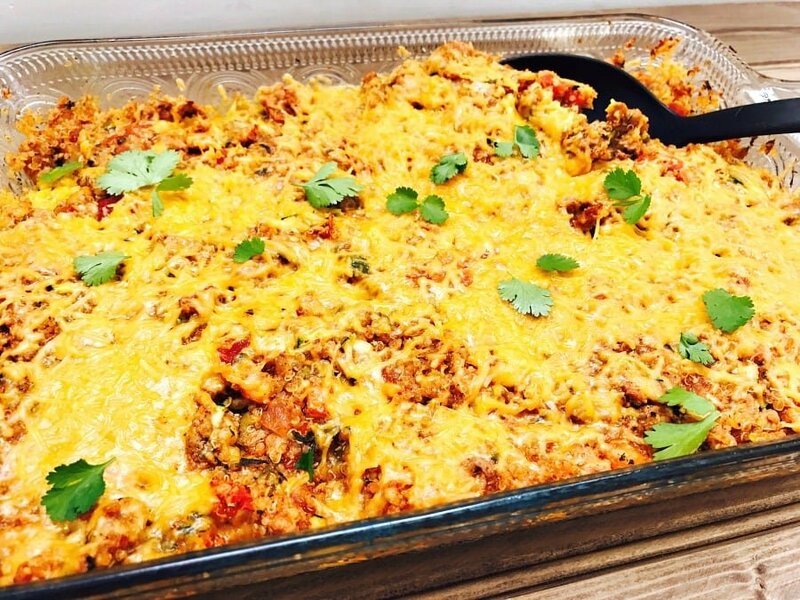 I’ve made this twice – which the family loves! My coworkers always get jealous and compare it to fancy mexican food. I use this for meal prep too. Not only does it freeze nicely, you can prep things (like the zucchini or quinoa) ahead of time and freeze it. I use my kitchen ninja to mince the zucchini and no one ever knows it is in there! This looks so good! If you leave the cheese out, does that change the container count at all? Yes! It changes the blue! There will be no blue in the recipe – but if you choose to add avocado to the top, then you should measure in a blue container to see how much you have. Make sense? For the 2 1/2 c tomato, onion, peppers: is that combine 2 1/2 c.? Also, you can sub the rotelle for that all instead? 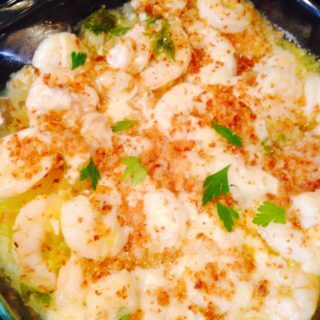 I tried this recipe last night and LOVED it! 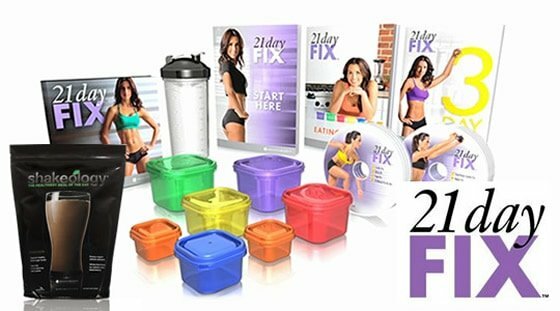 I’m not doing 21 day fix, so do you have the nutritional information for this?? thanks! I do not, but I love myfitnesspal for this kind of thing! Is it possible to use more tomatoes instead of tomato sauce? I forgot tomato sauce at the store? Ok, I have to admit, I was a little nervous about this recipe…I wasn’t sure my family was going to enjoy it but I decided to give it a shot anyway. WOW! My whole family LOVED it, they all went back for seconds or thirds. Definitely a new family favorite. 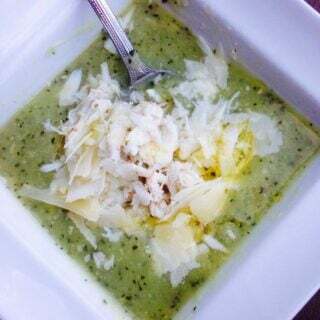 Thank you for providing recipes that are super yummy and healthy to boot! YAY!! Thank you for trusting me and giving it a try – so happy to hear it worked out! Hi! 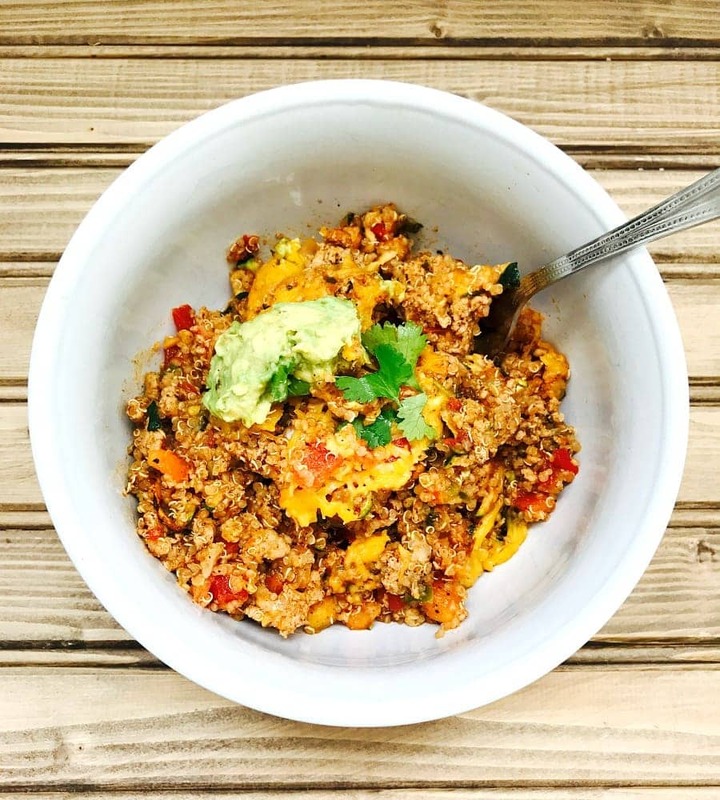 Can I use extra lean ground beef? I don’t have turkey on hand. EVERY recipe I try will taste great!! Thank you so much!! Yummy! And the hubs didn’t even notice the zucchini! This recipe went in the keep pile, we added homemade taco seasoning and some green onion on top after out of the oven! Can’t wait for lunch tomorrow..
WE thought this was great!! About how long didn’t you cook it for for the cheesy awesomeness? This is so delicious. I couldn’t find quinoa at Aldi ( since I have three under 4 and I literally run through the grocery store) so I used a little brown rice instead. I’ve tried it with the quinoa and the hubby loves it too! I have yet to try a bad recipe from you! Thanks for all the help in the kitchen ? How long would you say that you usually bake it for? Is there something I can substitute with instead of the meat option. I am vegetarian and this recipe looks yummy. 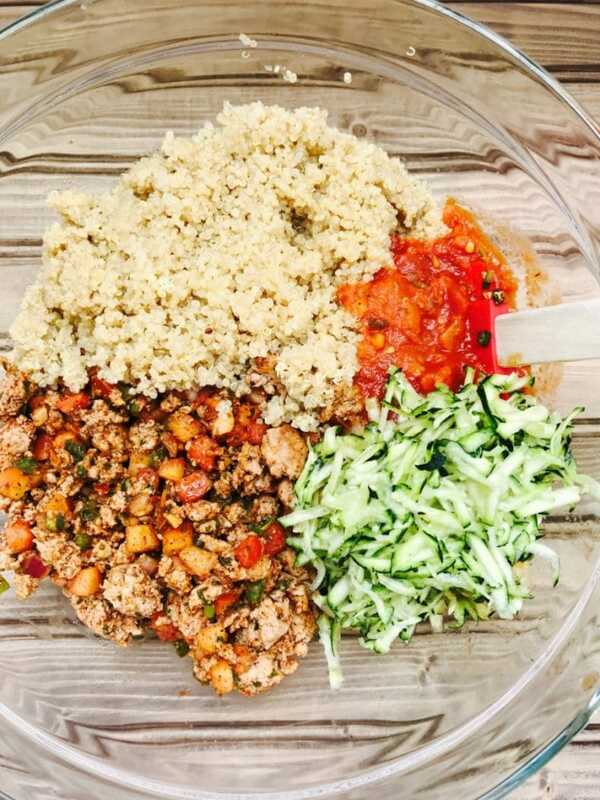 You can easily leave the meat out and add extra veggies and more quinoa! 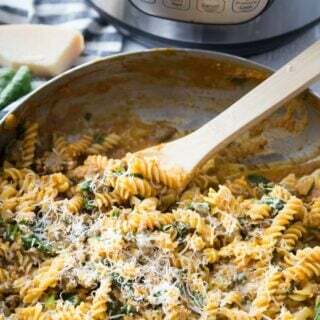 Is there a instant pot or slow cooker version of this recipe?